Annual days at Glentree Academy are a feast to the senses. 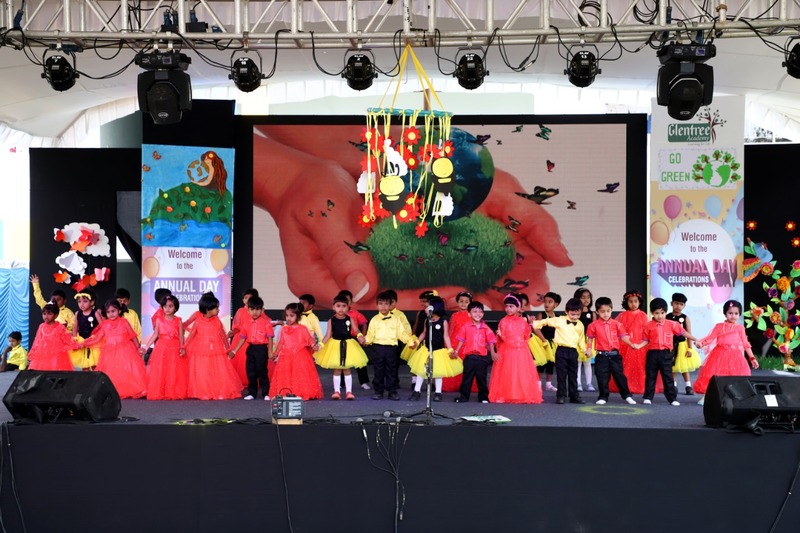 Students from all grades participated in a range of events that included taekwondo display, song-dance programme on Incredible India, yoga display, class presentations on the theme-Go green, skit on the title- ‘A Note From My School Diary’ etc. Every child was given an opportunity to showcase his/her talents. Children looked vibrant and full of enthusiasm in the colourful presentations. The entire day was fun-filled and aimed at unleashing every child’s potential. As per our very philosophy, the focus was on developing every child’s potentials for a better tomorrow.